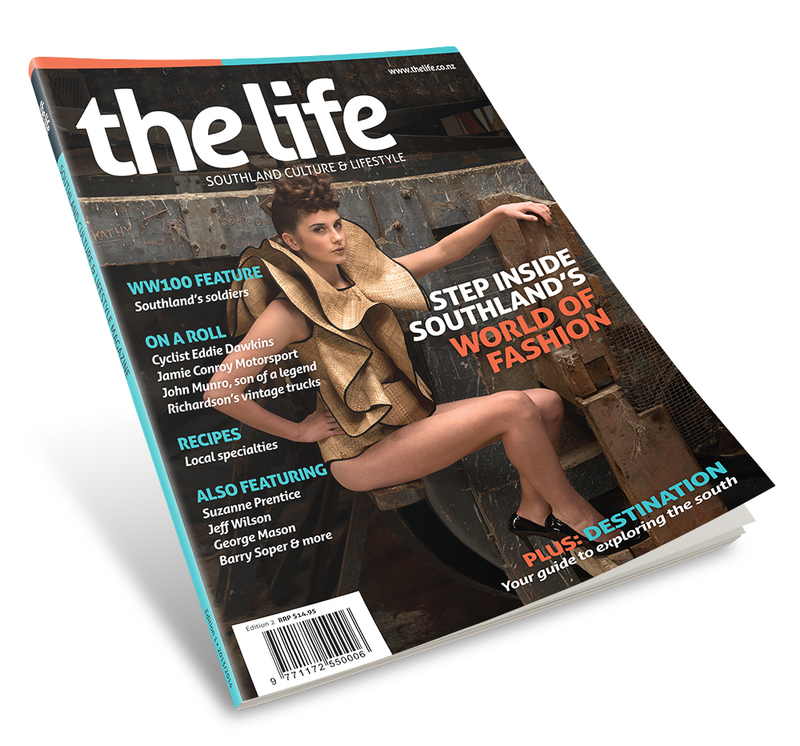 Order your copies of The Life here and pay no shipping when you pick up in the Market South studio. For more information, see our Online Orders Terms and Conditions. 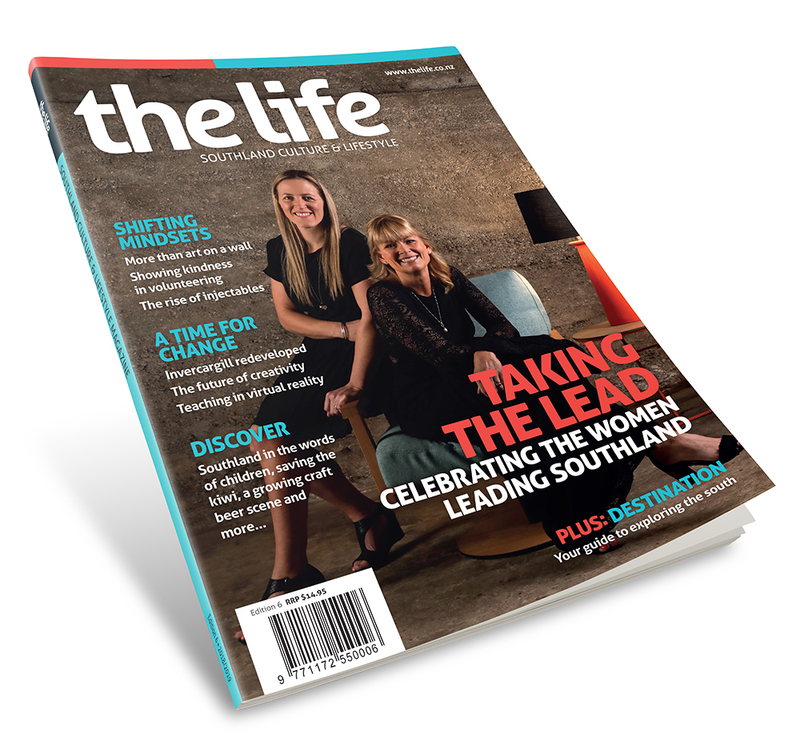 Edition 6 of The Life is a celebration of Southland's women of influence who are leading the region into the future across various industries. 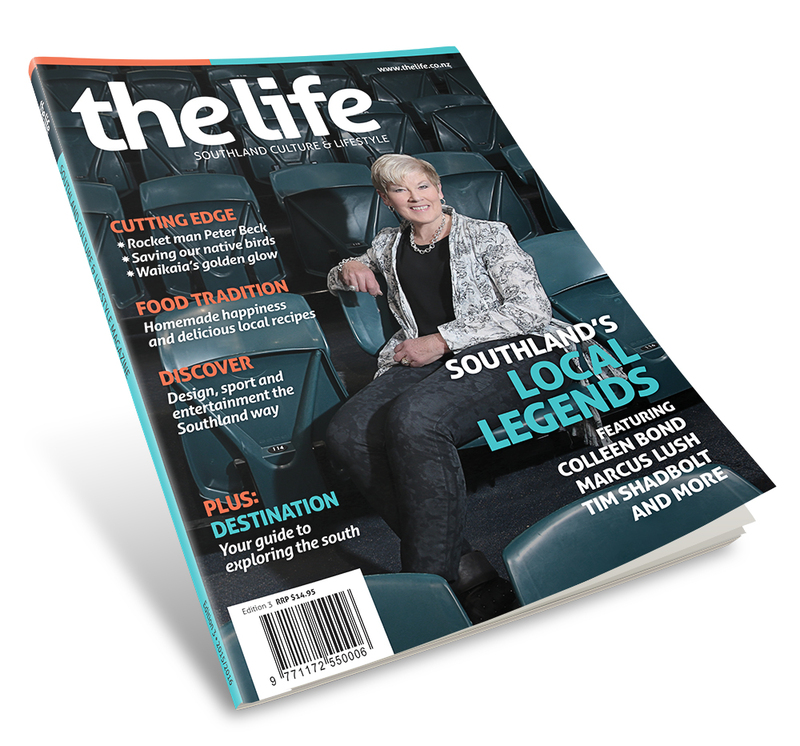 Featuring HW Richardson Group’s Joc O’Donnell and former professional netballer Wendy Frew and many other inspiring women, this feature showcases the strides some of Southland’s leading women have made. Also included is the tale of Dave Goodin, a greenstone carver based on Stewart Island, whose career spans from his involvement with Peter Jackson and Weta Workshop on international films to guiding people through the journey of creating their own piece of greenstone. Be inspired by the ground-breaking development work taking place in Invercargill, with the rejuvenation of the inner city and a collaborative creative industries centre both set to inject some life and passion into Invercargill’s city centre. There’s also art, delicious food, sports, inspiring people and much more to discover! Edition 5 is all about having a positive attitude to succeed in all endeavours in life. We talk to Invercargill-born police officer Regan Mauheni about his incredible recovery after he was shot and sustained a brain injury in the line of duty. Take in the majesty of New Zealand’s stunning landscapes captured by emerging photographer Sam Deuchrass and learn all about his rapid ascension to the craft. There’s also an exploration of Southland’s cultural landscape with features on the Polyfest Cultural Festival, the Māori art form of whakairo rākau and the three Pou installed on Whenua Hou. That, plus much more, including Q and As, fashion, art and culture, and sport, make edition 5 an essential part of your reading list. 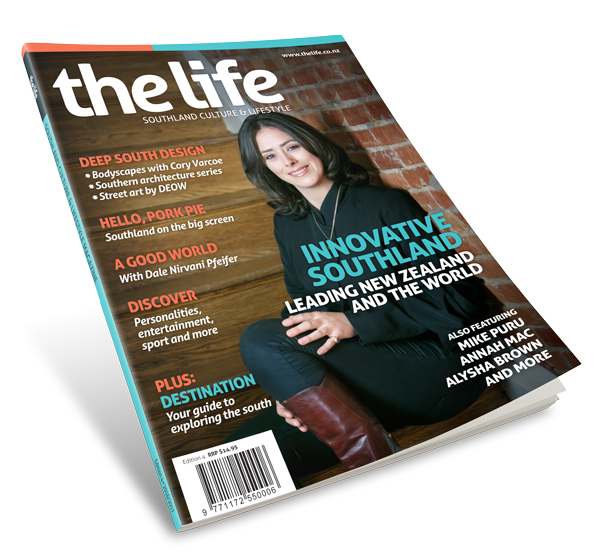 Edition 4 is the innovation issue – all the movers, shakers, and business makers helping make Southland the place it is. We meet Invercargill ex-pat Dale Nirvani Pfeifer who is taking on the world and changing the way people donate and interact with charities online. There’s also Gore’s Wade Paterson who has taken up the helm of the Hokonui Fashion Design Awards and Riverton’s Jessica Terrill who is putting the south on the map for surfing. There’s also business profiles, people, fashion, sports and much much more making edition 4 another fantastic read. In Edition 3 we meet many inspirational people, and it’s not just exceptional motivation, aspiration and strong Southland ties that they have in common. Read about 2015 New Zealand Order of Merit recipient Colleen Bond who has lead the way in the field of netball umpiring for years. Southlander Peter Beck is taking on the world and beyond - since completing his schooling in Invercargill Peter has become an acclaimed scientist and engineer and is now turning heads in the space industry worldwide. The motto ‘never ever stop learning’ forged the road to success for businessman and self-development dynamo Dean Addie. His story, and many others make Edition 3 great reading. 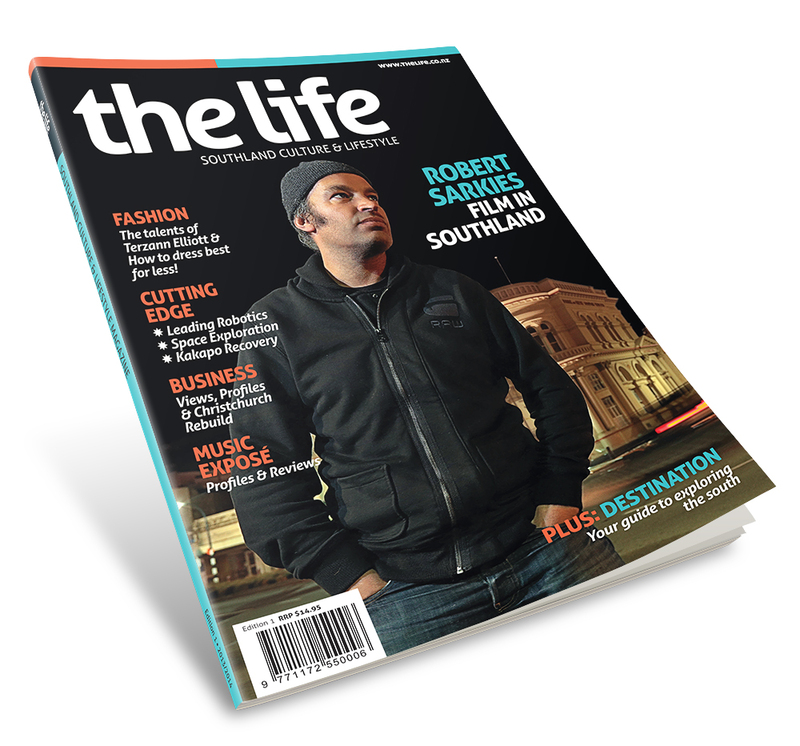 People are what make Southland and in this edition of The Life we meet many motivated and inspirational Southlanders. Motorcycle legend Burt Munro’s son John who, even at 80 years old, is full of life and full of stories to share. Read his here in Edition 2. Jocelyn O’Donnell opens the doors to her late father’s vintage truck collection and opens up about her plans for Bill Richardson’s Transport World. Tara Mulvany, a tiny girl with massive ambition who, at just 24, has solo kayaked around New Zealand. Read these and many other stories as well as reviews, bios, and much more. The Life offers a tangible showcase of what Southland has to offer; our way of life, our people, our places and our culture. Sit back, relax and enjoy, because we really do have The Life! 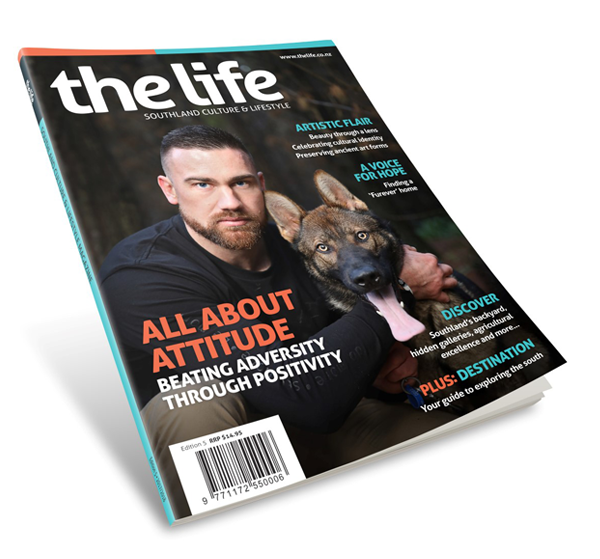 The Life is perfect for waiting room coffee tables, cafes, salons, corporate giveaways, recruitment and migration packs and client and staff gifts. If you wish to place an order simply complete the form below, which includes bulk pricing offers, and email or fax it to 03 214 4400.